Lya Mara was the star in the German silent melodrama Halkas Gelöbnis/Halka's Vow (1918). Her co-star was the young Hans Albers, in his first film role. Alfred Halm directed the film under his regular pseudonym H. Fredall, while he also scripted the film. 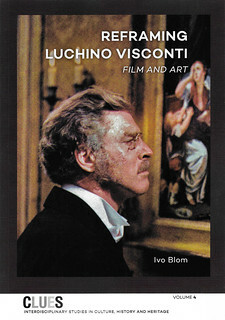 The postcards were published by the Berlin firm Photochemie. 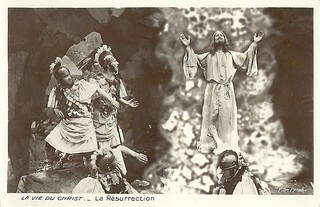 German postcard by Photochemie, Berlin, no. K. 2273. Photo: Berliner Film-Manufaktur. Rudolf Lettinger (?) 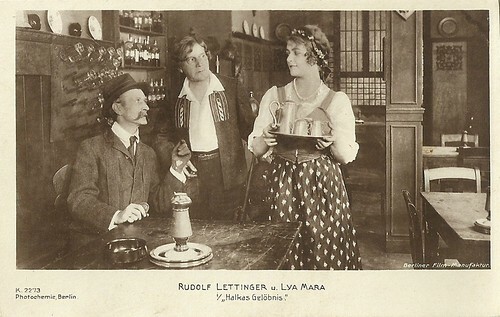 and Lya Mara in Halkas Gelöbnis (H. Fredall, 1918). 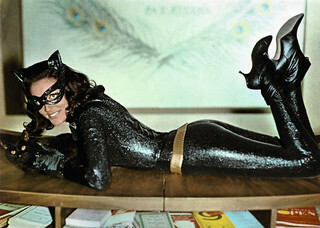 German postcard by Photochemie, Berlin, no. K. 2272. Photo: Berliner Film-Manufaktur. 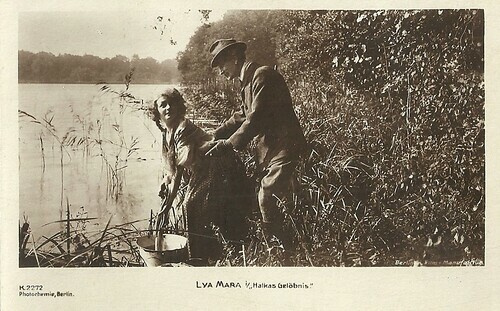 Lya Mara in Halkas Gelöbnis (H. Fredall, 1918). Before she was a big star as comedienne in the 1920s, Lya Mara did various dramatic films in the 1910s. An example is Halkas Gelöbnis, which was shot in the Autumn of 1917 and premiered in January 1918. Producer of the film was Mara's future husband, Friedrich Zelnik later known as Frederic Zelnik. Halkas Gelöbnis is situated somewhere and somewhen in Poland. Count Symon Barinowsky (Hans Albers) returns to his homestead and falls in love with his foster sister Halka (Lya Mara). His mother instead wants Symon to marry aristocracy, but before the statue of the Holy Virgin, Halka promises eternal loyalty to Symon. When Symon is away in Java, the countess notices Halka is courted by Dr. Piorkowsky (Erich Kaiser-Titz) and announces their engagement. Halka, devastated, writes Symon about his mother's plans and swears eternal loyalty to Symon. Even in her wedding night with the doctor, Halka remains true to Symon. That night Symon returns and the two men fight, until the old servant Jan (Rudolf Lettinger) comes between them and explains Halka is Symon's half-sister. Halka overhears this and collapses. Her husband takes care of her. Afterwards Halka's oath to Symon turns into another one, of eternal friendship. German postcard by Photochemie, Berlin, no. K. 2271. Photo: Berliner Film-Manufaktur. Lya Mara in Halkas Gelöbnis (H. Fredall, 1918). 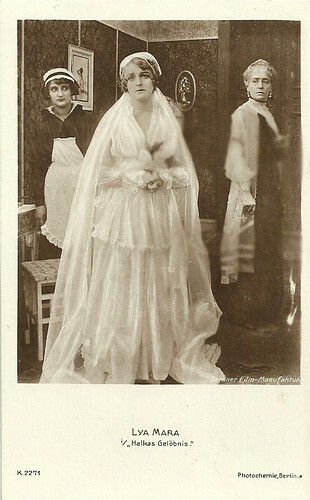 German postcard by Photochemie, Berlin, no. K. 2270. Photo: Berliner Film-Manufaktur. 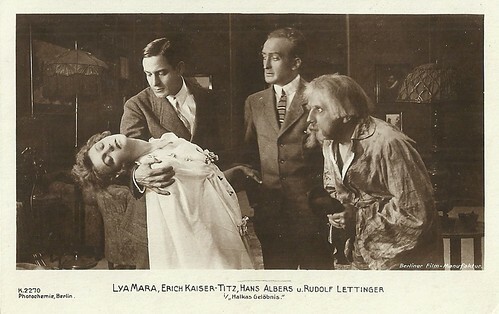 Lya Mara, Erich Kaiser-Titz, Hans Albers and Rudolf Lettinger in Halkas Gelöbnis (H. Fredall, 1918).